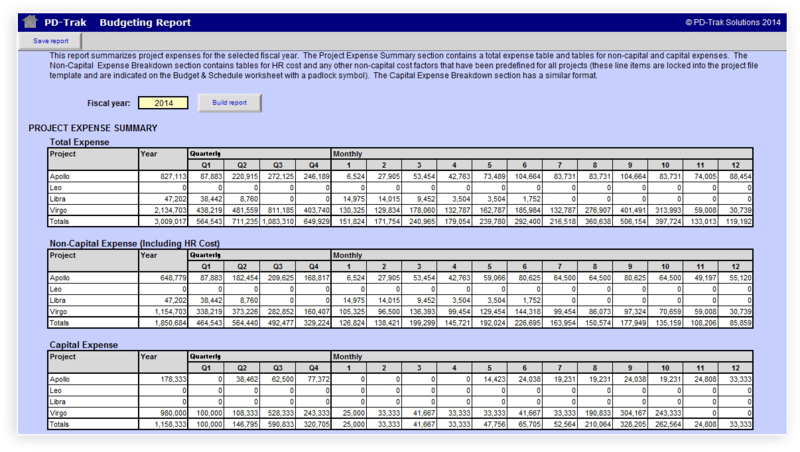 The portfolio planning process starts with a business plan that defines the financial objectives of the organization. This plan should establish targets for revenue and profit, and funding available to cover new product expenses and investments. These items may be broken down by business unit, product line and/or sales from existing products vs. sales from new products. 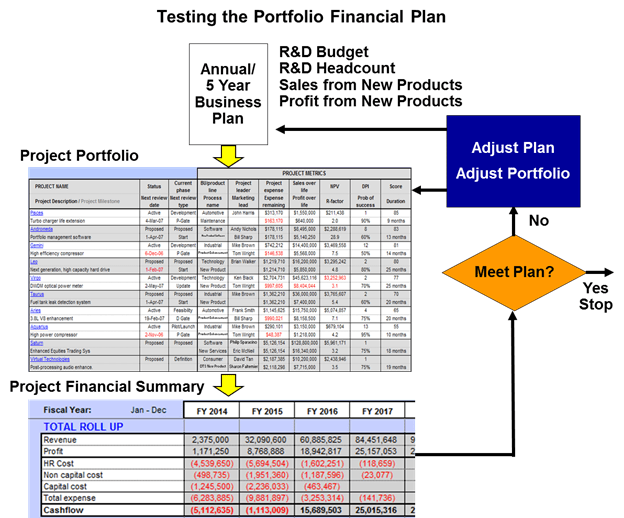 PD-Trak provides the tools needed to plan the product development projects needed to achieve the business plan. This is accomplished with the Financial Roll-Up report which accumulates the revenue, profit, and development costs for the projects selected for the proposed portfolio. 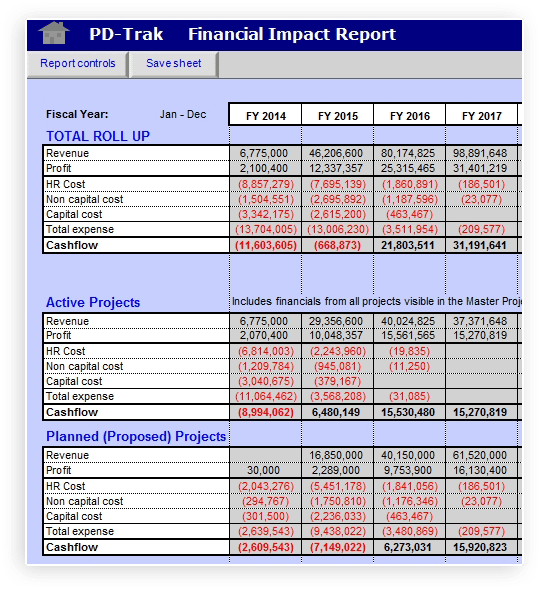 The project data is based on the cost estimates for the projects (based on timing, resource estimates and other cost items) and the payback/business case analysis performed on each project. The Financial Roll-Up summarizes the active and proposed projects for the selected set of projects in the portfolio in both tabular and graphical format. This financial summary is checked against the business plan to determine if the portfolio satisfies or supports the business plan.